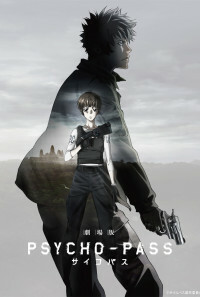 In this sequel to Psycho-Pass TV show, Inspector Tsunemori is sent to a neighboring war-torn nation, where the Sibyl System is being introduced as an experiment, to find Shinya Kogami, her former enforcer who went rogue three years ago. It's the year 2116 and Japan is more or less the only stable country in the world thanks to the introduction of the Sybil System, a bio-computer surveillance system built to pacify the country and replace the police. The system is now subtly taking over various less notable roles of the government one at a time as well due to its unmatched rationality and effectiveness. For the first time since its introduction, the Japanese government has agreed to export the Sibyl System to another country. SEAUn or the South East Asia Union is a neighboring territory torn by a long-running civil war. The strongest of the armed factions has managed to set up a military government but now needs help with restoring order and defeating the rebels and the Sybil System should be able to help with both. This experiment will show how well the Sybil System can be implemented outside of pacifist Japan. Meanwhile, a small team of armed rebels from the SEAU manages to enter Japan in secret, but is then intercepted by Inspector Tsunemori, the protagonist of the TV series the movie's based on, and her team. One of the rebels is caught and forcibly brain-scanned. His fragmented memory reveals that Shinya Kogami, Tsunemori's former enforcer who went rogue and disappeared three years ago is now one of the rebel leaders. Tsunemori asks to be sent alone to Shambala Float, the current capital of the SEAU, where, as an experiment, the military government has already introduced the Sybil System, to find and apprehend Kogami. Her boss agrees. The official reason for her visit to Shambala Float will be the inspection of the implementation of the Sybil System. Tsunemori is about to leave Japan for the first time and visit a place where violence is an everyday occurrence. As she begins her investigation, a mercenary group is sent to take Kogami out of the picture and if Tsunemori comes in their way, that's an acceptable collateral damage. Regions are unavailable for this movie. Click the "Watch on Netflix" button to find out if Psycho-Pass: The Movie is playing in your country.